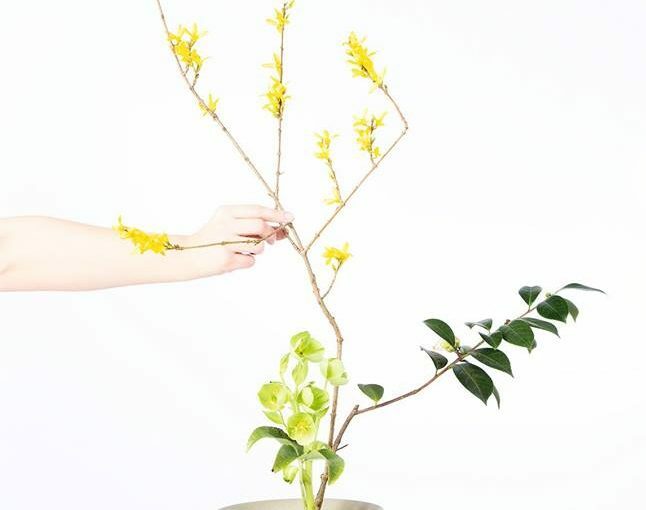 An exhibition about photography and flower arrangements, exploring nature, harmony and perception through Ikebana, the Japanese art of flower arranging. The exhibition explores how we see beauty and perceive images through the use of compositional rules, and our relationship with the environment. Through my work, I explore the language of images and how we construct and perceive beauty. It questions our relationship with nature, in a time when the majority of the population in countries such as Japan live in cities and urban areas, removed from the rural and natural environment. I am always interested in images, language and interpretation of information. In the Way of Flowers I look at the line diagrams used to instruct and create beautiful flower arrangement and how we translate information, from diagram to image, creating connections between the composition of images and of Ikebana flower arrangements. The exhibition The Way of Flowers shows mainly photographs, including a series of images of the photographer’s own flower arrangements, diagrams, text, and a cityscape printed in a format vaguely resembling a hanging scroll in a tokonoma. Monica Takvam is a visual artist and photographer from Norway, mainly based in London, UK. In her practice, she is often concerned with how we see, and she uses photography, text, illustration, video and sound to explore the language of images, sight, perception and blindness. Her work has been published and shown in national and international exhibitions. She has been shortlisted for several awards and won the Celeste Visible White Photo Prize 2016. Takvam was the 2017 Artist-in-Residence at Watts Gallery, UK, working on a project exploring perception of landscape, with a solo-exhibition at Watts Contemporary Gallery, UK in October 2017. She has been the managing director / director of Renaissance Photography Prize for over eight years and formerly the Assistant Editor of the journal Photography & Culture, published by Routledge. She divides her time between her own work, commissions, curating and lecturing photography at University of the Arts London, London College of Communication, City of Westminster College and University of Hertfordshire.